Chuckanut Brewery celebrates ten years of brewing beer with its 10 Days of 10 Years of Chuckanut beginning Friday July 13 through July 22. Each day there will be a special activity to help honor each year Chuckanut Brewery has been in existence! Chuckanut Brewery’s history has been rich and heavily rewarded for brewing some of the best European style Lagers and Ales in the country. It won Small Brewpub of the Year the first time it entered the Great American Beer Festival (GABF) 2009 and Small Brewery of the Year two years later at the 2011 GABF. Chuckanut now has two breweries, the original in Bellingham with it’s full service Kitchen and its production facility in Skagit Valley with its big Beer Garden & Tap Room. 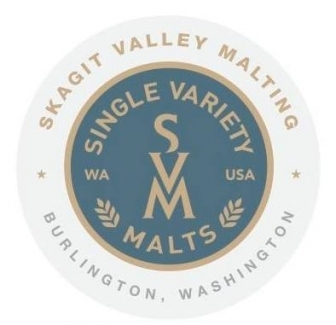 The calendar of activities will happen at both North Nut (the Kitchen, 601 W Holly St, Bellingham) and South Nut (Tap Room in Skagit Valley, 11937 Higgins Airport Way, Burlington). Friday the 13th will start with the tapping of Willis Helles Lager. 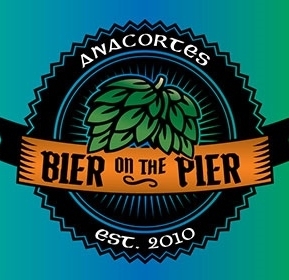 This is the beer everyone has been asking for Chuckanut to brew since opening in mid July 2008. It’s made in honor of the original Thomas Kemper Brewery (Brewmaster/co-owner Will’s first craft brewery started in 1984) Helles Lager. This Helles Lager uses a special yeast to give it a blueberry aroma and flavor. Will and the brew crew were able to track down the yeast from the National Collection of Yeast Cultures (NCYC) in London, England and used it with Chuckanut’s award winning Helles Lager recipe to create the Willis Helles. But this Helles is very different from Chuckanut Helles and here’s the opportunity to roll back the clock! And Thomas Kemper Root Beer will be sold at a reduced price for those under 21 years. This is the soda that came out of the original Thomas Kemper! On Saturday July 14 free tours will be led at North Nut at noon then at South Nut at 3 pm. 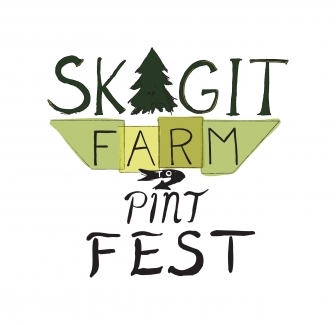 Just show up to get a look inside and hear more about the magic of Chuckanut Beers. Sunday July 15 the celebration will continue with Brewery Bingo at South Nut 5:30 pm to close and at North Nut in the back covered patio 7-9 pm. 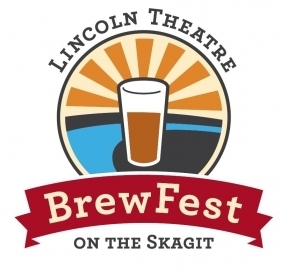 Here’s your chance to win some schwag and discounted beer certificates! July 16, Monday is College Night both North and South. Students can show their college ID’s for a $3.50 pint! July 17 features an extra bonus for Kolsch Tuesday. On the 17th when a train goes by at North Nut and when a helicopter flies over at South Nut you can order a $1 Kolsch in it’s traditional 6.8 oz glass stange. July 18, Wednesday we are bringing back Wurst Wednesday with specialty sausages served up in different styles. July 19, Thursday is Keller Night with beer straight from the fermentation (Cellar) tank. This beer has the yeast still in it creating a different flavor and texture to Chuckanut’s brilliant beers. This option will be available at North and South Nut. July 20, Friday we’ll celebrate with A Liter Night Music! Traditionally Chuckanut’s Liter Night is Friday but this Friday live music will be playing to add to the fun. July 21 is Dog Day Saturday. Bring your dog in and get a $4 pint for yourself and a doggie treat for your four legged well-behaved friend (patio seating only). And to complete the 10 Days of 10 Years of Chuckanut Brewery we will celebrate with Schwag Day. Wear your Chuckanut Schwag and your pint is $4 plus you can purchase a new Tshirt for $15 (+tax)! There’s lots of ways to help Chuckanut celebrate 10 years of brewing please come join in the fun when you can!